Pre-blog, and before taking up our now long-time residency in Yarraville. 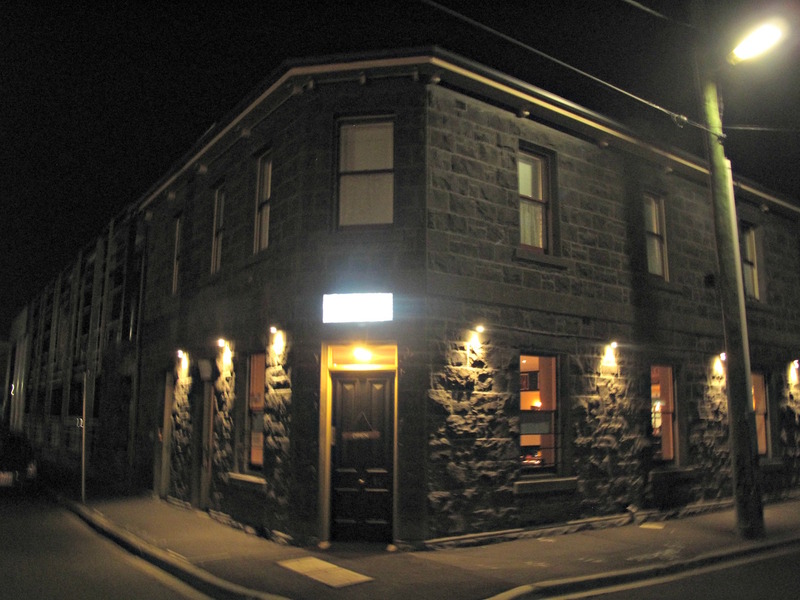 I recall visiting the venerable bluestone building in Ballarat Street when it was still a pub and had something of a name for steak and chips. After that it became Dig A Pony, which we never got around to before it folded a few months back. 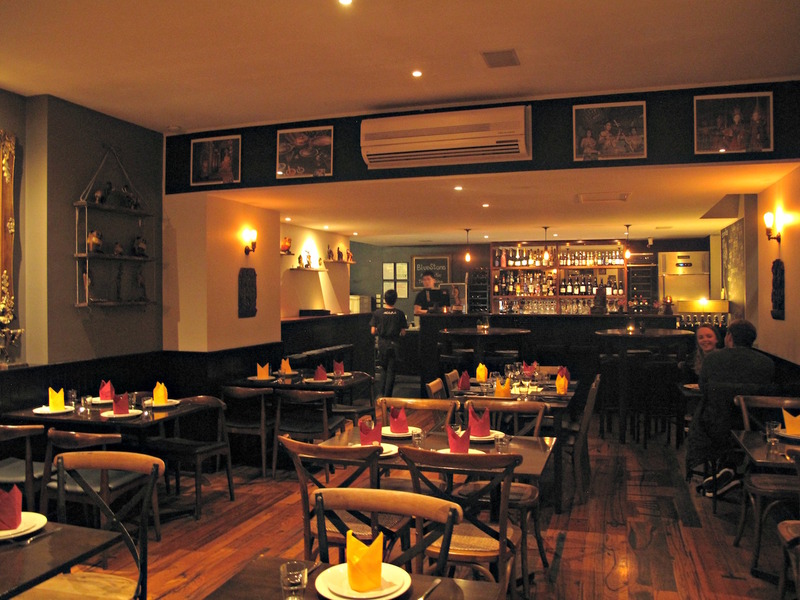 Now it houses BlueStone Thai and we’re up for it. Having scoped out the menu online, I have no expectations of anything too adventurous or regionally based or unusual, like we might find up the road apiece at Yim Yam. But that’s OK – just some nice, straight-up orthodox Thai will do us fine. The dining room is all dark-wooded niceness and warmed up on a chilly night. Chicken satay ($9.90) is excellent, four sticks bearing thigh meat perfectly cooked and served with a runny peanut sauce. 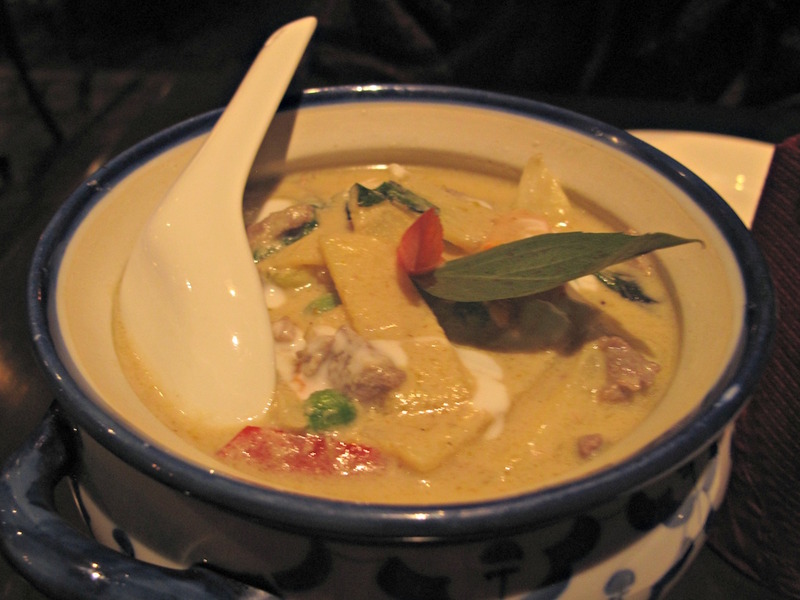 Mildly spicy green curry ($14.90) is a good-sized serve stuffed with plenty of meat pieces and vegetables. Basil chilli stir fry with pork ($14.90) is likewise mild, by our standards, and also rather good. Two bowls of rice cost us $5 and the total bill is an excellent $44.70. BlueStone Thai seems likely to have found a nifty niche – serving the kind of Thai food in which many punters delight and away from the frequently nutty crush and madness of the Ballarat/Anderson streets nexus. On the way home on this Friday night, we witness Anderson Street absurdly gridlocked for blocks in both directions either side of train tracks – and with not a train in sight.